HomeDefamationShould Jameel spell the end of ‘libel tourism’ to the UK? Should Jameel spell the end of ‘libel tourism’ to the UK? 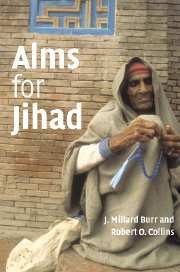 When it first appeared in 2006, Alms for Jihad, an academic book on Islamic charitable networks by two American scholars, drew scant attention. It sold a modest 1,500 copies and received few reviews. But in recent weeks the book has become an international cause cÃ©lÃ¨bre, after Cambridge University Press agreed to pulp all unsold copies in a defamation settlement. The angry and defiant reaction of Robert Collins, one of the authors, can be read here (with an update here; and there’s more on the story generally from American Libraries, Chronicle of Higher Education, Critical Mass, Democracy Project, FrontPageMagazine.com, Human Events, Mark Steyn, and wikipedia). In what must be an oversight, the book still remains in CUP’s online catalogue (and that’s the cover image, on the top left of this post, from the same site); I can’t find it on Amazon, but this entry is still on the Barnes & Noble website. This species of forum shopping is called libel tourism; it is said that it chills investigative journalism; and Alms for Jihad is not the only example – see another NYT piece Are Saudis Using British Libel Law To Deter Critics? and a very informative piece on SFGate.com (the San Francisco Chronicle site) Libel Tourism: Where Terrorism and Censorship Meet. In particular, another of those who has had to defend such claims is Rachel Ehrenfeld; her experiences are set out in an earlier NYT piece Seeking U.S. turf for a Free-Speech Fight (and see also the Boston Globe‘s piece here); she wrote a letter to the NYT a few weeks ago to correct some of the details in Donadio’s story; and her take on the Alms for Jihad controversy is here. To protect authors in the future, Congress should pass legislation preventing any American court – state or federal – from enforcing libel judgments issued by foreign courts, so that anyone wishing to sue an American for libel must do so in the United States. This would be an exception to our usual practice with regard to British court judgments, which are usually enforced here. But because the differences in American and British libel laws are drastic, special protections are needed to uphold our tradition of free speech. Although the suggestion is gaining some positive reaction in the US, it may no longer be necessary. It seems to me that in making the Reynolds defence far easier to plead and rely on, the House of Lords in Jameel v Wall Street Journal Europe  UKHL 44 (11 October 2006) (also here) has made it correspondingly more difficult for libel tourists to go shopping to the UK for a more congenial forum in which to litigate their libel suits. I hadn’t read about this issue before, but I can see a strong argument that U.S. enforcement of judgements obtained in libel cases in the U.K. could undermine the First Amendment. I have no idea whether any similar constitutional issues with enforcement of foreign judgements in the U.S. have arisen before (and none of my U.S. colleagues can think of any). However, some of them also noted that in terms of the particularly case they thought there would be a strong case that (were it not for obvious biases on the parts of the NY courts and juries) the outcome in a NY court of a libel claim should be the same as in an English one. I would say that a lot of this particular case, including the reportage which you’ve referred to, seems to be coming from a certain political perspective – the New York Times has a certain attitude on Israel and the Arab world. Most London lawyers I know are rather dubious about the impartiality of the NY courts in these cases. I can recall the attitude which they showed to claims against Swiss banks back seven years which, although obviously tort cases rather than contract, has hugely affected how European financial institutions regard the NY courts. I have had several cases of clients opting to have transactions be subject to the jurisdiction of the English courts because of a lack of confidence in the NY court system. There’s also a strong whiff of U.S. arrogance about the assertion that anyone wishing to sue an American for libel must do so in the United States. This is particularly ironic given the U.S. propensity for asserting jurisdiction in relation to matters with a very tenuous relationship with the U.S. I think of my own particular practice in securities law, but also of competition law matters. It’s interesting that now that the EU is regulating matters like competition and, increasingly, securities law, at an EU level and is finally able to assert some real power, the U.S. is getting very defensive. The fines levied on Microsoft are because it’s doing business in the E.U. and relate only to its activities in the E.U., but there’s still some pretty bitter articles in the NY Times, among other U.S. publications. Similarly, libel claims against authors, at least in the cases mentioned in the reportage, are for publication they’ve made outside of the U.S., not for publication in the U.S. If it’s possible to limit distribution of a publication to the U.S., which is done all the time where U.S. rights are sold separately from English/European rights, then it’s for the author and publisher to do so if they want to ensure protection against libel judgements of foreign courts. I thought that it was interesting that the publishers quite clearly were willing to address the libel claims made. I think that’s an indication that the publishers themselves, and the advice they received, were of the view that the libel claims had a very strong basis. The authors don’t really give anything but the most nebulous basis for their assertion of links with terrorism on the part of the person claiming libel. I’ve been in the Bekaa Valley and in south Lebanon and certainly some of the guides I was with were operating under the supervision of Hezbollah. I’m happy that still leaves me much less of a supporter of terrorism that all those armchair republicans in Belfast who were sending money to Northern Ireland in the 70s and 80s. One wonders whether the reportage would have been the same had the publication concerned Israeli state terrorist actions over the past twenty years. On Tuesday I’ll be at a talk at LSE by Professors Mearsheimer and Walt on the subject of their new book. The fact that their measured criticisms have unleashed a polemic of hate from U.S. academia is a clear indication for me that the response would have been very different. I used to be a free expression advocate but increasingly my view of expression rights is that they are closer to property rights in terms of the interests that they protect, particularly as they are interpreted by the U.S. Supreme Court, where only Kennedy and (until “bong hits for Jesus”) Scalia have really kept a consistent position on free expression.